It’s no wonder so many of us are confused about healthy eating. Even the nation’s dietary experts keep changing their minds about what we should eat and what we should avoid. 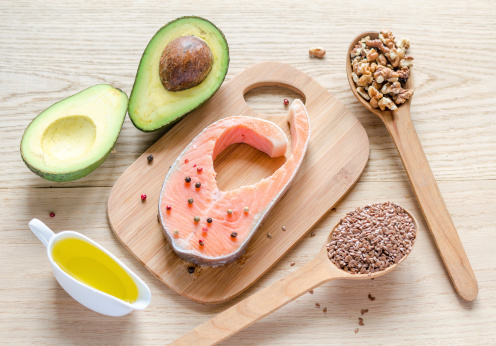 We asked USC School of Pharmacy Research Professor, Roger Clemens DrPH,to help remove some of the confusion surrounding healthy fats. Q: What are the latest dietary guidelines regarding fat and cholesterol? ** Dr. Clemens:** The 2015 Dietary Guidelines Advisory Committee Scientific Report states that cholesterol is no longer a nutrient of concern. The available evidence shows no appreciable relationship between consumption of dietary cholesterol and serum cholesterol. This is consistent with the conclusion of the American Heart Association and American College of Cardiology report. Q: Can you explain this change in thinking over the past several decades? ** Dr. Clemens:** Nutritional science is dynamic. In the 1980s, the Dietary Guidelines suggested that consumers avoid too much total fat and saturated fat. Over time, total fat guidelines have been upwardly adjusted with the 2010 Guidelines suggesting diets with up 35 percent of daily calories from fat. The 2015 executive summary suggests no upper limit for total fat consumption. Saturated fat guidelines have similarly evolved, and now suggest including up to 10 percent in a healthy diet, and replacing saturated fat with polyunsaturated (nuts and seeds, fish, leafy greens, corn, sunflower oil) and mono-unsaturated fat (avocado, olive oil, peanut oil, canola oil, sesame oil.) This thinking however, may still be changing. Q. What does the science say regarding low-fat diets? There’s now strong evidence that replacing saturated fat with carbohydrates, a hallmark of low-fat diets, does not necessarily lower the risk of cardiovascular disease. Replacing saturated fats with carbohydrates reduces total and LDL-C cholesterol, but it may significantly increase triglycerides and reduce the good cholesterol, HDL-C. Furthermore, a meta-analysis published last year in the Annals of Internal Medicine, concluded that current evidence does not clearly support cardiovascular guidelines that encourage high consumption of polyunsaturated fatty acids and low consumption of total saturated fats. [It is suggested that] Low-fat diets don’t produce significant or lasting weight loss. The Women’s Health Initiative followed more than 20,000 women on low-fat diets for an average of 7.5 years starting in 1993. Participants were randomly assigned to a control group and low-fat diet group. Those in the low-fat diet group had a goal to reduce dietary fat intake from ~38 percent of calories from fat to 20 percent. After 7.5 years, the weight of the women in the low-fat group was not significantly lower with a weight loss of ~1 pound versus those in the control group following their usual diet. They weighed only one pound less than the controls, and they had no improvements in heart health. Q: Is this new report encouraging people to eat butter and tropical oils again? ** Dr. Clemens:** It’s not that simple. The guidelines state that a diet lower in calories and animal-based foods is more health-promoting and associated with less environmental impact than the current U.S. diet. Although dietary cholesterol is clearly not an issue, this report isn’t a free license to eat as much butter as we want. We need to consume foods in moderation if we’re going to make a real difference in our health. Q: So we should be eating a variety of foods, including a variety of healthy fats? ** Dr. Clemens:** Even single foods often contain a complex nutrient mix. Judging a food or an individual’s diet as harmful because it contains more saturated fatty acids, or beneficial because it contains less, is intrinsically flawed. The real emphasis should be on optimizing the types of dietary fat we’re eating, not on reducing total fat, and on identifying dietary patterns that are culturally appropriate. In as recently as 2010, experts acknowledged that the stearic acid found in Malaysian certified sustainable palm fruit oil is not known to raise LDL cholesterol. In fact, evidence suggests stearic acid should not even be categorized with known cholesterol-raising fats. Variations in our genetics, lifestyle and life stage can all influence how our bodies respond to diet. Concentrate on eating a variety of foods, instead of getting your nutrients from a minimal number of sources. And weigh news about diet and health carefully, understanding that it can take years for the strongest evidence to emerge. Dr. Clemens is adjunct Professor of Pharmacology and Pharmaceutical Sciences within the USC School of Pharmacy, International Center for Regulatory Science. Clemens has served on a number of advisory committees and panels with primary responsibilities in food safety, and dietary lipids and health (USDA, Institute of Food Technology, Nestle, American College of Nutrition) and has been interviewed by domestic and international journalists on issues relating to contemporary health, nutrition and food safety. Currently, he is an appointed member of the U.S. Pharmacopeia expert committees on Food Ingredients.